For the past 18 years Earshot Jazz has presented an annual concert of Ellington’s Sacred Music. The concert features the Seattle Repertory Jazz Orchestra, co-directed by Michael Brockman and Clarence Acox. Many of Seattle’s favorite jazz artists are featured on this special concert as well as vocalists James Caddell & Dee Daniels. Nich Anderson is opening up his condo to 30 guests each night for a house concert series that starts January 5 with a performance by MaxxJazz recording artist John Proulx. The Northwest has a fine tradition of house concerts, from the original Bake’s Place which was located in the basement of Craig Baker’s home to the Our House series in the Woodland Park neighborhood, and the JazzVox series promises not to disappoint. I heard John last year for the first time and was amazed by his many talents – an equally great pianist and vocalist, a wonderful scatter, and a great writer of tunes (featured on albums by Nancy Wilson and Mary Stallings). I’m thrilled that John will be the artist to kick-off the series! Check out his debut album “Moon and Sand” on his website (http://www.johnproulx.com) and visit his myspace page (http://www.myspace.com/johnmproulx). For more information and to reserve tickets, visit http://jazzvox.com. On Sunday, December 30, The Tractor Tavern presents Bill Frisell, Danny Barnes and Eyvind Kang. The Christmas holiday is over so get out of the house and support live jazz! 9pm – Captain Gravel – acoustic string band playing a mix of bluegrass, blues, ragtime and swing! Oscar Peterson at the piano? Oscar Peterson was the piano. His touch could be light and feathery, as ethereal as a memory. It could operate with blinding speed, releasing liquid lines that felt like a river bursting a dam. Or it could release rumbling cascades of notes, pounding out a stratagem of confidence and assurance. Sometimes Peterson didn’t move much, his body swaying slowly on ballads, head bowed in reverie. At other times, constant piston motion — hands working the keys, arms sweeping up and down the keyboard — gave Peterson a supple bounce, as if that bench was hot. When he got into a particularly pleasing groove, or when his sidemen spurred him on with their own invention, Peterson would smile, and get just a little more fired up. 7pm – The Coretet, with Brendan O’Donnell (guitar), Mack Grout (keyboards), Tim Carey (bass) and Adam Kessler (drums) – Classic jazz with a modern twist! Anything else happening tonight? Post a gig notice in the Comments section. The all-star Seattle Repertory Jazz Orchestra Dektet played the December Art of Jazz Concert at The Seattle Art Museum and highlights from the concert will air Sunday 12/30 at 1 PM on Jazz Northwest. Arrangements by Marty Paich, Milt Kleeb, Oliver Nelson, Jimmy Heath and others are featured. Jazz Northwest is recorded and produced by Jim Wilke and heard every Sunday on 88-5, KPLU and kplu.org – made possible by The Boeing Company. Bring your family (or make a dash and get away from your family) and go out and hear some live jazz tonight. If you have yet to experience the Ben Roseth/Tatum Greenblatt Quintet, you are in for a treat! The new and improved group is now aptly titled, The Here and Now Quintet, as they continue to showcase the best in up and coming jazz. Reuniting, the Here and Now Quintet presents an evening of jazz inspired by a history of collective music-making and recent experiences from all around the world. These up-and-coming musicians, all born and raised in Seattle, are forging a fresh new sound rooted in the tradition of Ellington, Coltrane and Davis, infused with influences from Israel, India, South America, and beyond. The band includes Ben Roseth (saxophone/flute), Tatum Greenblatt (trumpet), Sean Hutchinson (drums/percussion), David Dawda (bass), and Drew Pierson (piano). Roseth, a Garfield High grad currently studying at the New England Conservatory, recently returned from a 5-month stint in Argentina where he studied tango and folkloric music. Greenblatt also a Garfield alum, has been wracking up experience as a grad student in the prestigious Juilliard Jazz Program, which has recently taken him on tour to Japan and opened the door for recent work with the Lincoln Center Jazz Orchestra. Hutchinson, a Roosevelt High grad currently studying with Roseth at the New England Conservatory, arrives to the Triple Door shortly after having completed a residency at the Henry Mancini Institute, where he worked with jazz greats Mariah Schneider, Gonzalo Rubalcaba, and Christian McBride. The group has sold out the Triple Door in their four previous performances there. This evening is sure to be a hit. TORONTO — Oscar Peterson, whose early talent, speedy fingers and musical genius made him one of the world’s best known jazz pianists, has died. He was 82. Mr. Peterson died at his home in the Toronto suburb of Mississauga on Sunday, said Oliver Jones, a family friend and jazz musician. The cause of death was kidney failure, said Mississauga’s mayor, Hazel McCallion. During an illustrious career spanning seven decades, Mr. Peterson played with some of the biggest names in jazz, including Ella Fitzgerald, Count Basie and Dizzy Gillespie. Help be a part of the Seattle Jazz Scene! This website is looking for a few more contributors to help document the local jazz scene here in Seattle. Do you frequent jazz venues around town? Ever thought of reviewing CDs? Are you a budding food critic? EMP|SFM, in collaboration with Earshot Jazz, proudly present Jazz in January 2008, Jan. 17 through Jan. 20, 2008 at EMP|SFM. Performances will include some of the biggest names in local and national contemporary jazz including: Jerry Gonzalez and the Fort Apache Band, Esperanza Spalding, Michael Shrieve, the Jovino Santos Neto Quinteto, Joe Santiago Afro-Cuban Jazz Ensemble, JazzReach, the Roosevelt and Garfield High School jazz bands, jazz film historian Mark Cantor and others. Organist Sam Yahel‘s new release on Seattle’s Origin Records, Truth and Beauty, was named one of the Top 10 Jazz CDs of 2007 by New York Times jazz critic Ben Ratliff. 7. 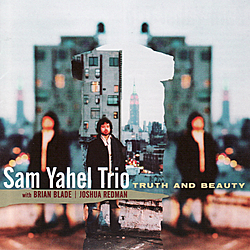 SAM YAHEL TRIO: ‘TRUTH AND BEAUTY’ (Origin). Here’s Joshua Redman again, on tenor saxophone, in a sporadic, long-running jazz trio led by the organist Sam Yahel, with Brian Blade on drums. This record overcomes old organ-and-tenor jazz clichés so easily that you hardly think of them. The music is fluid, flexible, all parts running together, the groove overwhelming. Getting ready for the holiday … take Monday off from work and go hear some live music tonight! Seattle Jazz Scene is putting together a guide to New Year’s Eve and would like to know where everyone is playing. BAKE’S PLACE: Craig Baker Quartet – A Special Holiday Tribute to the wonderful singers of the late 50’s and early 60’s such as Andy Williams, Nat King Cole, Bing Crosby and many others! Been to a show recently? Heard a great CD?